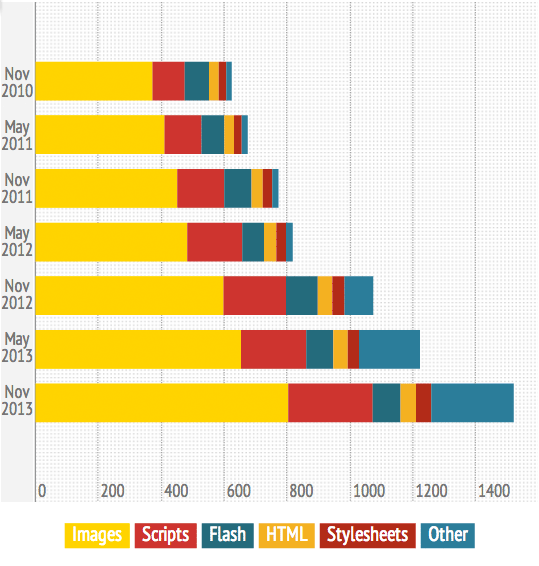 The average top 1,000 web page is 1575 KB. More than half of this size is due to images. 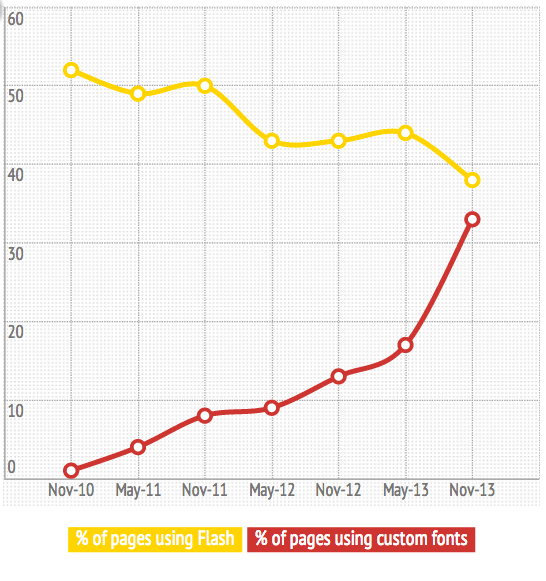 Flash is on the decrease. Custom fonts are on the increase. This entry was posted in Computer, Murmuring, Network, WWW and tagged flash, font, page, size, web, webpage on November 28, 2013 by Gea-Suan Lin.